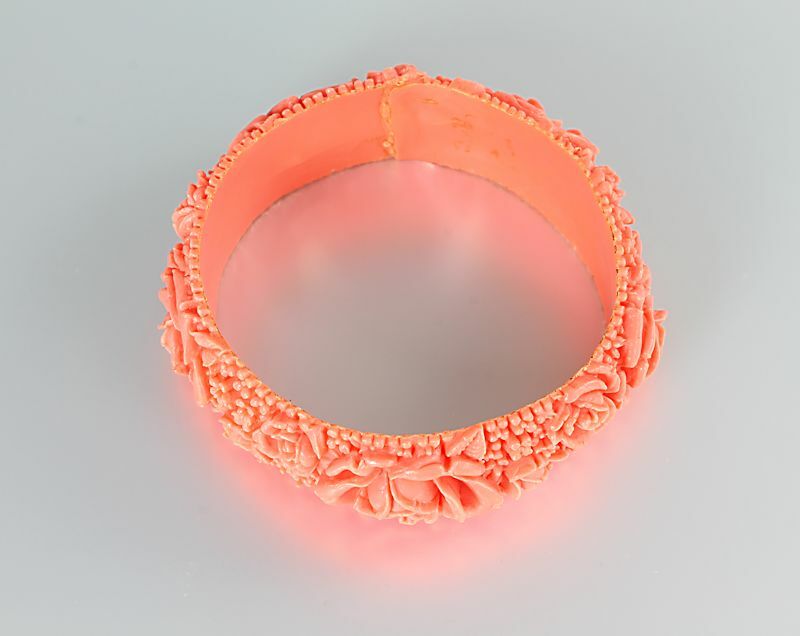 Delightful vintage 1950s faux coral bracelet. 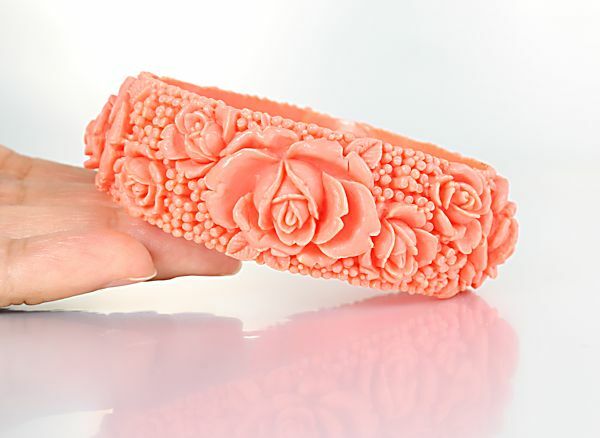 The molded celluloid has a crisp detailed rose blossom pattern which appears as if carved. 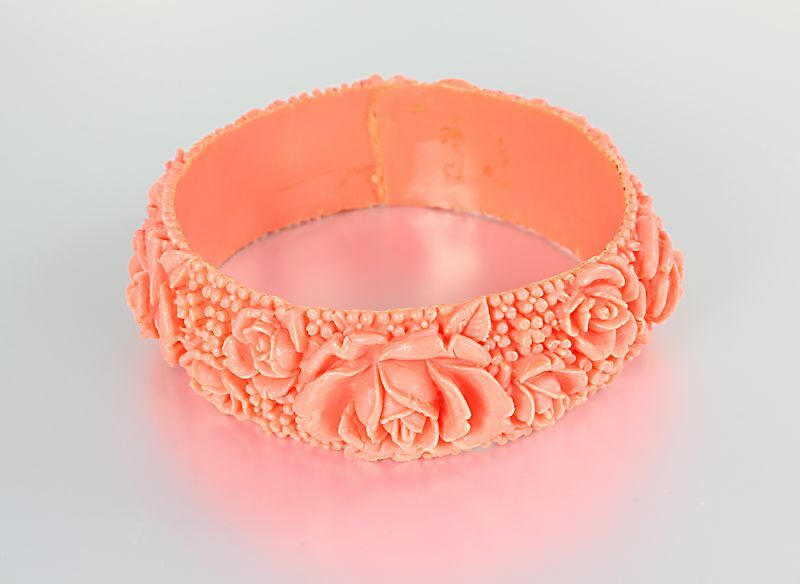 Bangle has a length of approximately 7 3/4 inches and it is 15/16 inches wide. In very good vintage condition. Fun piece for summer!